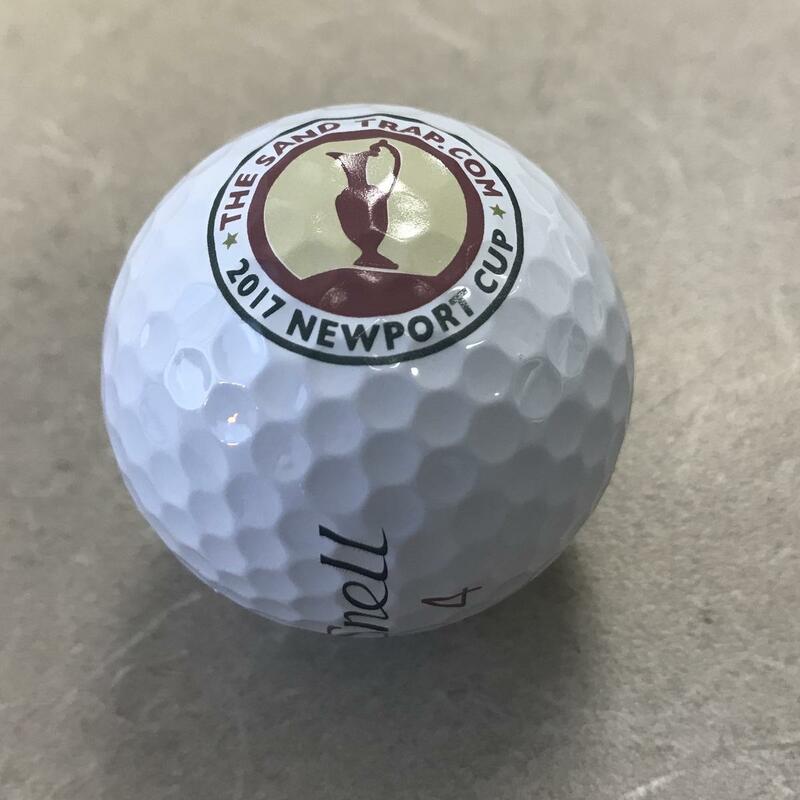 Below, twelve members of the 2017 Newport Cup squad will write thorough, in-depth reviews of Snell's "My Tour Ball" (or "MTB"), complete with photos, an occasional video, and a wealth of opinion and information. They're encouraged to be as honest as possible. We'd like to thank the sponsors for the gear, apparel, equipment, and goodies, and we chose them largely because they produce quality products, but they know we value honesty and integrity in reviews as well. I was lucky enough to be able to review the Snell Ball previously and it is still the best deal on a premium ball on the market. And my ace partner @DaveP043 and I used these during our two fourball rounds during the Newport Cup and we went 3-0 in both matches. So at least for me, there is no discernible difference between the Snell and any other premium ball. 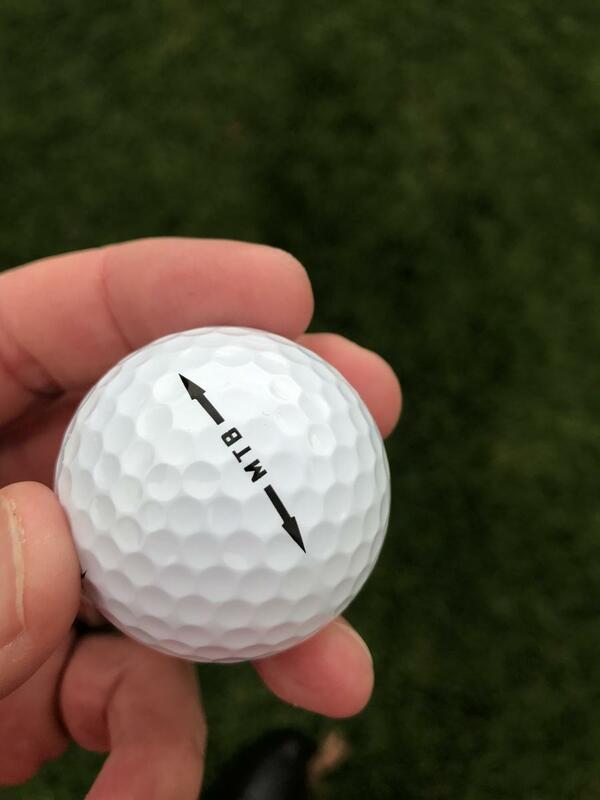 I really like the change they made on the lettering from the first time I reviewed them, especially going to the MTB on the side instead of the MyTourBall all written out. One of my critiques previously was the lettering seemed to wear off after a many hits, but this hasn't been an issue that I've noticed as much as before. 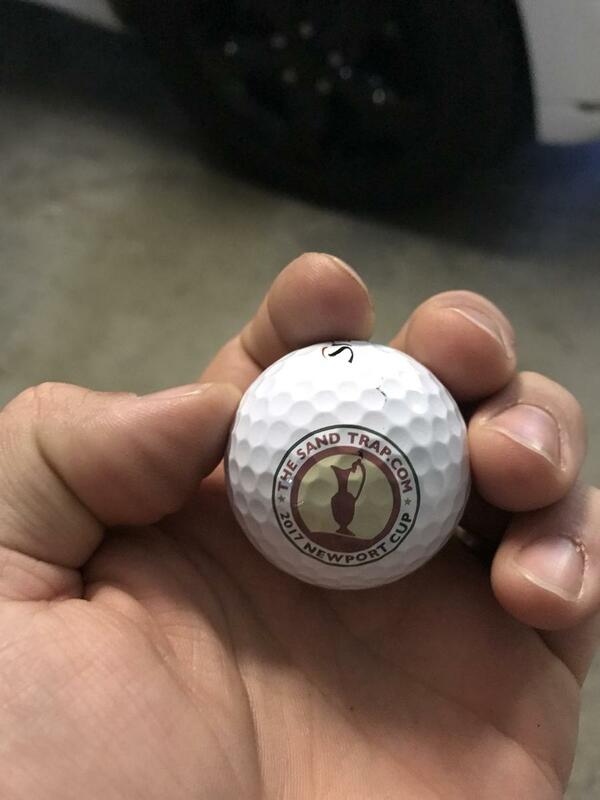 And of course with the TST logo, makes the ball look really sharp. And the MTB logo has alignment lines for putting if that is something you do. I would recommend this ball to anyone who wants a premium ball at a much better value then similar premium balls on the market. There are many members now at Springfield that use the Snell MTB exclusively due to me giving them one of the balls that I originally reviewed. The Snell MTB is as good as advertised. I have been wanting to try these golf balls for a couple years now. it was over two years ago that I purchased a bunch of these in anticipation of our golf season starting here in Wisconsin. Unfortunately I did not get to try them at the time however due to an injury that happened early in the season which kept me unable to play for a couple years. As soon as I was able to play this season I had the Snell MTB golf ball in the bag. For starters it is priced much less than other tour caliber golf balls from the big equipment manufacturers. I don't like paying high prices for most of my equipment and the price point of this ball is a big reason why I have been so interested. I quickly learned however that this was not the main reason to love this ball. Years ago, I fell in love with the TM Penta golf ball. I have been searching for a ball that feels and plays as well since then. The Snell MTB is that ball for me. After a full season of playing this ball I can honestly say it is that ball for me. It is by far the best ball I have played for the long game. Unfortunately it does not fix my two way miss , but when I match the club face and path somewhat close, I am able to see how great this ball is with a driver or fairway wood off the tee. There is no doubt is one of the longest balls I have played. Iron play is a strength for me. It is probably my favorite ball I have ever tried with the irons. 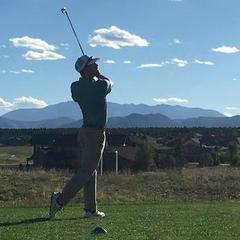 I hit the ball pretty high with my irons and I feel like it does not get caught up in wind and it pretty much hits, takes a little bounce and stops for me, which is exactly what I am looking for. It has the right amount of short game spin and feel for me as well. This is something that you really have to try out to get a feel for it, but I really enjoy how this ball spins off my short game shots. It is not the most crazy spin I have seen but it is the right amount for me. You can play shots that will spin or roll out more and trust that it will do that based on the delivered loft you give the shot. It may sounds strange but how the ball sounds and feels off the putter is important to me. It may not really change my play but this ball does not have a loud click off the putter and has the soft feel off the putter face I am looking for. The durability of this ball is great. I have played some high end golf balls that would shred pretty easily but this does not seem to be one of them. The Snell MTB is a great looking ball as well. It is a very pure white which I like, the printing on the ball is very clean as well. It takes a logo very well as you can see above. This ball looks and plays great indeed. I am very happy that I was finally able to try this golf ball. It will be my golf ball for years to come at this point. I am very pleased with all aspects of this product and would highly recommend you buy this ball. You will save money and likely play a better ball. This was the first time I have ever used a new Snell MTB. I found one recently and played a couple of rounds with it. The question I had with this ball is how it compares to the premium balls I have used but at a much lower price. Distance wise I noticed no discernable difference from the Snell MTB to any other premium ball I have used before. The greens were rather firm that week so it was difficult to stop any ball quickly, especially with the longer irons. However, when I did have shorter irons into the greens the MTB held up nicely. I had several 50 yard shots that I was able to stop close enough to give me a chance to make the next. I felt no difference at all with the impact off the face compared to others. The MTB performed very well for me around the greens. It reacted pretty much like any other high end ball I have used before. It might have been a little firmer, but not enough to cause any issues with the amount of spin or feel I have with other balls. I have only played a few rounds with the MTB so its hard to make a determination of the durability. However, the used ball I found and have played a few rounds with is still in my bag and is in really good shape. Which is why I gave it a 5 rating. Also during my play at Talamore and Mid South courses, there are no complaints with how it looked after the rounds. The lettering and cover all held up well. The MTB is slightly “whiter” than the other balls. Which makes it easier to see and find in the bright sun. The lettering is sharp and clear. Sometimes other brands can be a little washed out. The MTB arrow lines are bold and long enough for aligning. For the price the Snell MTB is a no brainer for me. A premium ball that performs as well to the other high end balls without hurting your wallet. It will be my go to ball from here on out. Most of the other rating metrics are relative to other balls and because the ratings are based on experience, I don't want to give a bad rating for a ball because it is in relation to something else instead of on its own. Durability: The ball on the right, I played 2 rounds with at my home course without losing, which is astonishing with all the hazards we have. The ball on the left is practically new, I think I played a few holes with it. So you can really see that there isn't much difference. The white brightness went away a bit, but I'm sure I hit a cart path or two with the ball on the right and it barely got a scratch. Quality: MTB is a 3-piece golf ball, but with premium characteristics like the lower compression and urethane outer layers. I'll get into value a bit later. To start off, I play exclusively ProV1s. 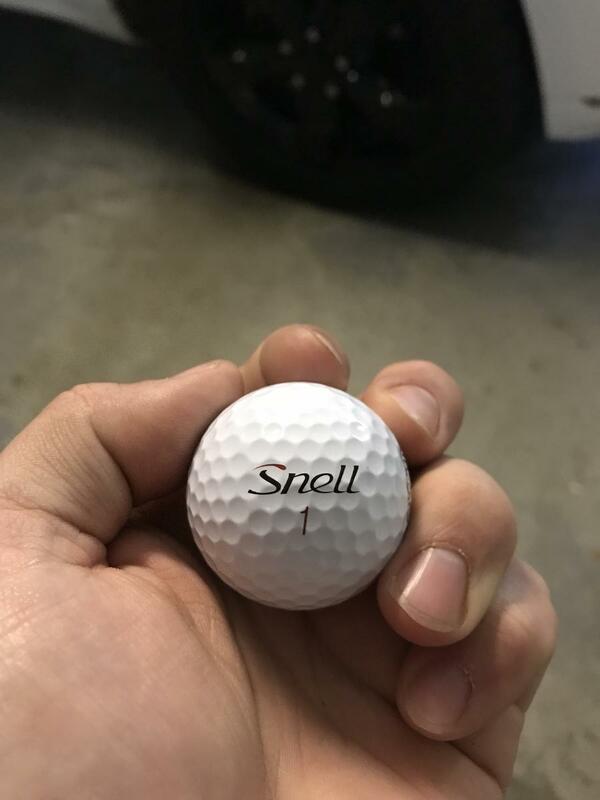 So I will detail my experience of the Snell against the ProV1. I'm not saying that any of the following is a good or bad thing, it is just how they differ, if at all. Yesterday I played with both my ProV1 and the Snell MTB to determine distance differences, spin differences, and how it feels. I started with how it feels first, and the Snell does feel slightly softer off the face than the ProV1 on full swings. 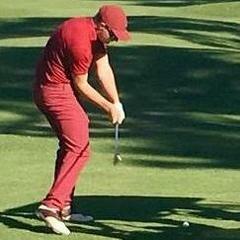 This difference would not be noticeable by the average golfer. Spin-wise, the reason I play ProV1 is the control around the greens and how the ball reacts on firm greens. I can stop it on almost anything, it seems like. The Snell MTB reacts similarly, but it doesn't quite have the same stopping power and spin. The difference here, again, is very small that may not be noticeable by the average golfer. If they played rock hard greens, they might see a difference, but for every day play, no noticeable difference. In regards to distance differences, I'd say they are the same. If anything, I thought the Snell had bigger driver carry and shorter iron carry, but within a few yards difference, so really nothing noticeable. So finally Value. You will rarely find a better deal for a premium golf ball. Forget the $50 box of ProV1's, and go get a box of Snell MTBs! Like @jsgolfer, I had the chance to review the Snell MTB previously, and its been my choice ever since. I was really pleased to receive a dozen new balls with the Newport Cup logo at the competition, because I know how good they are. For this review, I went back to my previous writings, to see how my initial impressions might have changed. A lot of what follows is exactly as written a year ago, because the ball is still as good as anything I've ever played. When I first opened the box, I compared the MTB side-by-side with my (previously) normal ball, the Titleist Pro V1. To my eyes, the logo looks good, just slightly larger than the Titleist, definitely smaller than the Calloway logo (which I don't really like). The alignment line looks fine too, although I don't use it so don't really care as long as its not too obtrusive. Now the wait, I received the balls the day before I left for Ireland last summer. My first experience with the MTB was at Ballyliffin, Ireland. The way it worked out, I played only the Snell while in Ireland. 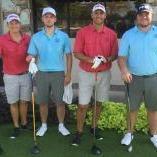 On our first day at the golf course, I took a couple to the practice green and started by putting and chipping a few. My first reaction was positive, the balls rolled nice and consistent, with a kind of subdued click. They didn't exactly feel “soft,” but there were towards the softer end of the spectrum. Then a few chips, a kind of dead-hands chip with a lofted wedge. The balls did exactly what I'd hoped to see, a nice low flight, one bounce and then a good check. This was surprising, I hadn't expected to see the check on the very firm Irish greens. I tried a couple of ProV1's for chipping, and if anything the Snell showed a little more check than the Titleist. Then, a few swings on the range and off to the course. For those who have played Irish links courses, you know that the wind is pretty much always blowing. It may change directions or strength, but it seems to never stop. Consequently, I didn't try to compare distances with the Snell, but I did watch the trajectory closely. I was pretty pleased overall, I could hit it low into the wind without the ball ballooning too badly, and I could put the ball forward in my stance when going downwind and have enough backspin that the ball would float on the wind, rather than getting knocked down. I liked the feel of the ball on full shots as well as I liked the putting and chipping, firm but not hard, with a nice sound off the clubface. Sadly, the ball did nothing at all to correct for my truly bad swings, so I left a few of them in the tall fescue lining the rolling fairways at Ballyliffin, Carne, Ballybunion, and Lahinch. None in the Atlantic, but only because the wind was coming towards shore. The other thing the ball couldn't do was bite on full shots into the very firm greens, but no golf ball can do that. Back in the States, I could really evaluate distances and performance on my home course. In general, I'd say the Snell is a little longer than the ProV1, but not hugely so. I'm talking about 10 yards or less with the driver, maybe a half-club with most irons. I'd say the Snell launched just a couple of degrees higher with the irons too, which may explain the distance gain. Bite on the greens with full shots was very good, but not to the point where I was drawing a ball back uncontrollably. Spin on partial shots was excellent. You know, those 60 yarders where you can't take a full swing, so the ball doesn't stop as quickly as with a full shot? Well, the Snell did stop. Short game was excellent too, check on the chip shots when I wanted it, and nice feel and consistent roll on the putts. So on to the meat of the review. Any comparisons are to the Titleist ProV1, I had been playing that ball consistently since it was introduced a long time ago. Distance was fine, at least as good as the ProV1, probably just a little longer. Flight was slightly higher, something I can use. Control on full shots was good, enough spin to stop shots, not too much to cause a ball to back up excessively. Short game feel was good, consistent spin results on chips and pitches. Putting feel was on the softer end of the spectrum, which suits me fine. Overall, this ball is every bit as good as the ProV1. Most of the guys have posted pictures. I think the ball looks nice, classy. In hindsight, I like the font used for Snell, I like the red accent and number, and even though the logo is just slightly larger than the Titleist (the classic in my lifetime), I think its just fine. Durability is good. I occasionally keep a ball in play for 3 or 4 rounds, and I see fading or unusual damage. The only change I could see was where the logo was smudged, which is understandable since I always tee the ball so I strike the logo. Sounds and feel is just right, in my opinion. Its hard to describe sound, but some balls make a kind of plastic clack sound, some a dull thud, this is just a nice solid smack on full shots. Off the putter, a muted click, it just sounds right somehow. Feel is slightly toward the soft end, which suits me fine. I know a couple of guys who found the feel a little soft for their liking, but I thought it was good. If you buy a dozen, these cost $32. If you buy 6 dozen, the price works out to be $26.33 per dozen, and all prices include shipping within the US. For a ball that behaves as well as the top ball on the market (at something like $48 per dozen), you can't beat it. The Snell My Tour Ball was a ball I was very intrigued by, but never actually gave a chance. I have played Titleist Pro V1xs for about 3 years, and that ball has served me well. I never took the jump on Snell balls, despite reading a lot of good things about them, because I’m a little stuck in my ways. So, I was pleased that I was going to run out of excuses to play them. After playing them, I think I will be buying more. It’s an outstanding ball, and the price makes it even better. Just quickly on the looks of the Snell MTB. It looks sharp. The Newport Cup logo is cool to have on there. The Snell script is solid. What separates premium balls from mid-range balls is the short game performance. Specifically, half wedge shots and shots around the green. I can stop almost any ball on the green on approach shots—I played E6s for a while and never had an issue with that. But being able to stop the ball on a 50-yard shot is the province of the premium, urethane covered ball. Both of these balls hit right about at the flagstick and rolled out to where they are. This was on a chipping green, so it was a harder than the greens at most courses I play. As you can see, this was good spin, and good control. Land the ball about 2 yards short of the pin here, and the ball is pin high. On this same green, I get about the same rollout from a Pro V1. On the course, I got the stopping power I expected with pitches and flops. Similarly, on bunker shots, I had no problem getting spin on the ball to stop it when I wanted it. May have even been better than a Pro V1 on bunker shots. Chips rolled out nearly the exact same as other premium balls. I noticed little difference between the Snell MTB and other premium balls. I don’t try to use a ton of spin on chip shots (as opposed to pitches or bunker shots), so I might not be the best judge. But it was up to par with any other ball I’ve played. In the short game, the ball passed with flying colors. Putting felt fine. The feel of a ball when putting has never been an issue for me. It doesn’t bother me either way. That means I don’t have a lot to say here. I played a Pro V1x over other premium balls because it offers me the best combination of distance and low driver spin. This was the only reason I was hesitant to switch to a Snell MTB, because I prefer low spin on the driver. I also lose maybe 5 yards of distance on irons between a Pro V1x and other premium balls. I was really hoping the Snell MTB would be up to par (pun not intended). It turns out it is a really good long game ball, too. I was occasionally testing the distance of this ball in comparison to a Pro V1x on the course, and they were virtually the same. In fact, the Snell MTB might have edged the Pro V1x in driver and 3 wood distance. I didn’t notice any unusually spinny shots with the driver—the Snell MTB had a piercing ball flight that did not over spin. No wild fades or hooks, either. With irons and wedges, the MTB was maybe slightly shorter than the Pro V1x, but it was possibly a yard or two, on average. Roll out on approach shots was pretty much ideal. I actually got a 6 iron that ended up spinning behind the pitch mark. That was unusual, though, and to a green than was much, much lower than the fairway. I say pretty much ideal because this ball seemed to catch flyers more often than other balls. Multiple times I got an extra 5-10 yards out of the rough, and I had no stopping power on the green in that situation. I don’t think that was really the ball, but it was surprising to happen so often. Other than that, though, the ball performed ideally when approaching the green. Wedges hopped and stopped, but didn’t spin hard backwards, which can sometimes happen to me with a Pro V1. Irons hopped and rolled out only a little. Despite those flyers, I was really impressed. Durability was also excellent. 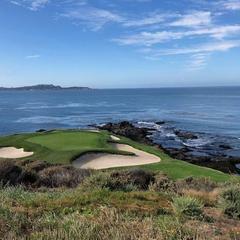 I had no rash from wedge shots after 18 holes with a ball. I had one ball that got cart path rash, but other than that, these balls haven’t had a blemish on them. Sure, you could play a rock that might bit slightly more durable, but for comparable balls, these are as good as any I’ve played for durability. That means the bottom line is that this ball performs very similar to a Pro V1x, but for ~$15 less a dozen. In other words, you’re getting top line performance for roughly the price of a Bridgestone E6. I’m not sure there’s a ball on the market that beats the performance, without figuring in the price. Once you add in the price, it’s a no-brainer. Any serious golfer should look at the Snell MTB. When I first started playing golf the only ball anyone ever talked about was the Titleist Tour Balata. It was the only game in town. I always bought them and felt like they were SOOO expensive. I remember a couple of years after that Maxfli offered a balata ball that was exactly $1 cheaper than the Tour Balata for a sleeve. I immediately switched because I could save a little, after a while though the Titleist seemed to perform better so I would be forced to switch back. I also vividly remember when Titleist introduced the ProV1. They were also very expensive, but in the beginning they were the only game in town. Fast forward to today and there are numerous models that are very close in terms of the performance characteristics that matter. There are all these models but they are all still very expensive. Basically $4 a ball. So I have ALWAYS been on the lookout for a ball that can perform similarly to the ProV1 but at a better price. So a few years ago when Snell hit the market I was immediately on board. When I got the first model the performance was exactly what I was looking for. It performs almost identically to the ProV1. It launches of the driver, spins wonderfully from the fairway, and is most importantly very consistent around the greens. The downside of those early balls, was the logo was obnoxiously big. It was very gaudy. But over time Snell has thinned out the logo and now the ball is a pleasure to play. The biggest benefits of the Snell ball are all of the performance metrics are exactly where good players want them, but with two big improvements. One is the durability. I can play the Snell MTB ball and it can be hard to tell that I have played 18 holes. With many of the other premium balls on the market a 85 yard wedge usually leaves couple of gouges on the ball. Not with the Snell. The second benefit is painting the MTB arrow logo right on the seam of the dimples. This is a simple thing, but I like the symmetry it creates. It is also shows an attention to detail ala Steve Jobs and the iPhone where you when the get the details right it implies you did the big things right. 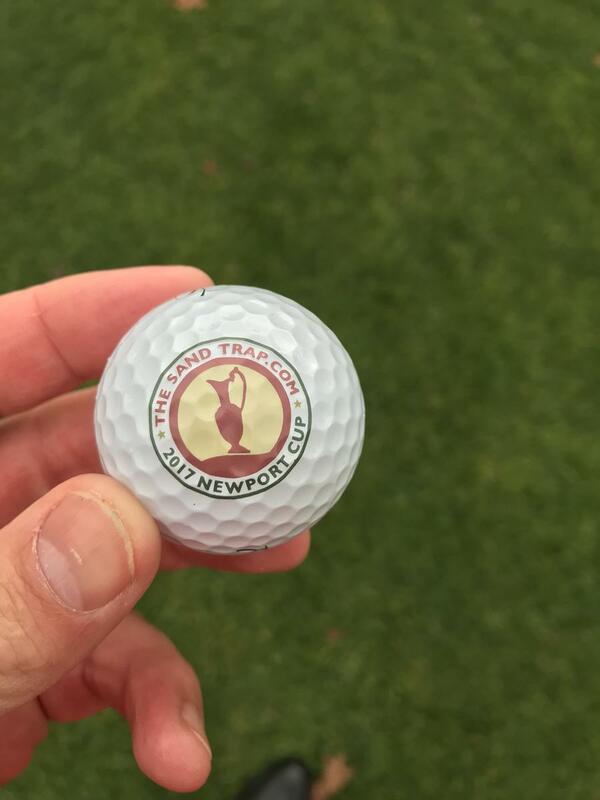 For the Newport Cup we were lucky enough to get balls with the logo of the Newport Cup printed right on the ball. It is sort of big, but it is a great memento of the event. I get questions all the time from my playing partners about the ball. "What is a Snell?" is the common question. I tell them it is ProV1 performance at a budget price point. They are almost immediately interested. Who doesn't want that? I might be the only one to write a review like this and I will have to say I just am not a fan of the Snell Ball. No reason why really. I think it’s the logo. The ball performs just as good as most premium balls. 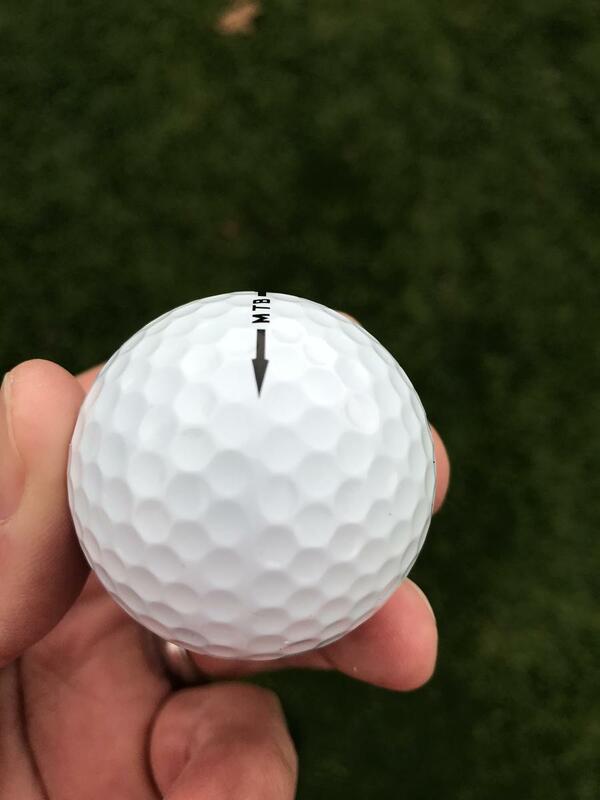 It spins, still goes long off the tee, it’s a value versus other golf balls. It’s an all-around great golf ball. The dimple pattern looks like a Callaway and I’ve always been a Titleist or Taylormade guy, so who knows. I can’t say anything bad about the golf ball. Plenty of guys I know like it and I’ll play it if I find one or they’re gifted to me. Maybe it’s a confidence thing when looking at the ball. Who knows. Like I said, performance is on par with the big boys and I love the feel of the ball around the greens - specifically how soft it feels off the putter face. No "clicky" sound like some others. ... I just am not a fan of the Snell Ball. No reason why really. I think it’s the logo. I can understand this, however, I'm the complete opposite. Especially when I'm playing public courses with adjacent fairways. NOBODY will mistake my Snell for their other brand ball, so when I go astray I don't have the same anxiety as I have with common balls as I'm rushing to get to the other fairway to play it again before somebody else has picked it up. The bottom line for me is that I was already a regular player of Snell's MTB prior to the Newport Cup, and I will continue to be for the foreseeable future. In the past few years I had mostly played the Pro-V1x and, at times, tried out the Taylor Made balls. I found that both of those balls performed very similarly to me and I truly couldn't discern a large difference between them. Given that, just before the Newport Cup, I decided to try out a dozen of the Snell MTB balls. For a significant discount, why not give them a shot...especially I can't tell a big difference in the higher-end ball market? 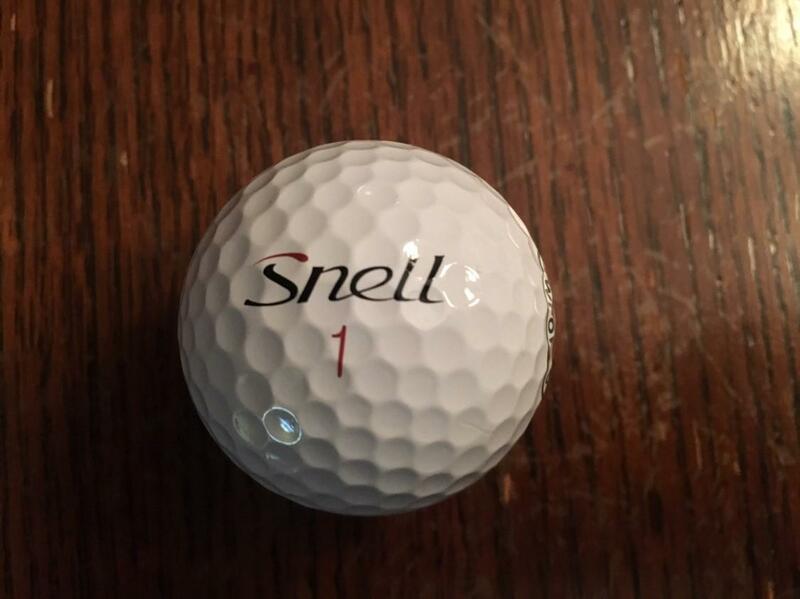 Off the tee, I found the Snell MTB to be nearly identical to the other balls I've played. 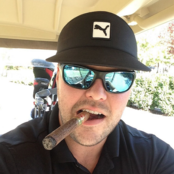 My distances on GameGolf and into the Par 4's have been consistent. I don't notice any big difference in ball flight as well. I'm launching the ball at the same angle so there really hasn't been a need to adjust my swing or anything after switching. If there has been one noticeable difference, it has been in the amount of spin off my wedges and shorter irons...or lack of spin. With the Pro-V1x and the TaylorMade TP5x I occasionally spin the ball a bit too much from 130 and in. With the Snell MTB, I can only think of one time where I spun the ball too much. The MTB, in the time I've played it, normally comes to rest a lot closer to my pitch mark on the green than the other balls do. Because of this, I feel a bit more in control of my distances from those yardages which is a big plus. I have no worries about the durability of the Snell MTB. If I don't lose a ball, the ball can easily hold up for the duration of the round. If you aren't a ball-snob like me and have to start every round with a new ball, I'm betting that you can use it for multiple rounds. I have a handful of these slightly-used ones in my bag ready to go for the (unfortunate) times when I lose one in a hazard and need to take a drop...or if I'm just playing a quick nine. The cover holds up through the round and you won't chew it like an old balata. These balls are just like the other premium balls and will last you as long as you can stand! Another area where the Snell MTB performs very close to the other premium balls is feel. Chipping around the greens and putting, you get that "soft but not too soft" feel off the club face that gives you the feel that you can spin and control the ball the way you want...and that it doesn't feel like a rock. I've even closed my eyes a few times when putting to see if I could tell which was which and I couldn't. Probably one of the biggest things I'm looking for in a ball is how it feels off the face and the Snell MTB doesn't let me down there. I really just can't see why someone wouldn't give these balls a try. For $15/dozen less, you simply can't go wrong with them. They feel nearly identical to me and actually perform slightly better in one area (spin.) If I had one nit I'd agree with @kpaulhus that the logo isn't really attractive but I'm not vain like him and it won't keep me from playing them or suggesting to others I'm playing with that they should give them a try. I've gotten strange looks from the guys at the club when they see what I'm playing but I've given them a sleeve to try and they've been impressed. Get some for yourself and see what you think! My swing speed and inconsistency is not going to properly test "tour" balls. That being said, the Snell MTB is a high quality ball that works for every level of golf ability. It is a real pleasure to roll a new one out of the package at the beginning of a round. It has a "sticky" feel and pure white cover. The price available as a direct to consumer sale are outstanding. I have continued to play the MTB upon my return to muddy Michigan. The ball holds up extremely well in some pretty crappy conditions. For reference, my current golf ball of choice is the Bridgestone B330S, so any comparisons I make about the Snell MTB will be compared to the B330S. 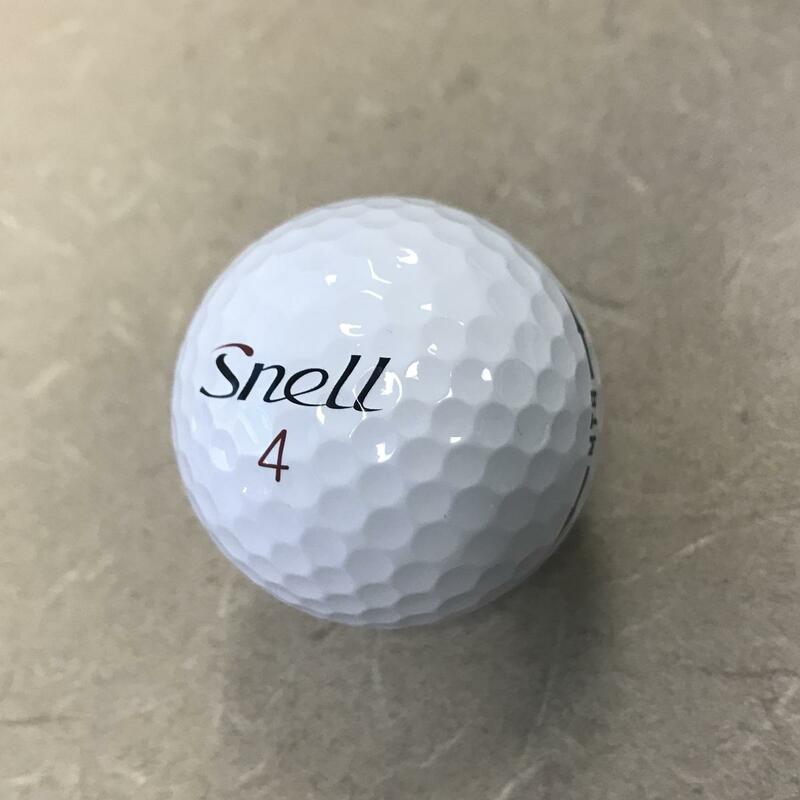 The Snell MTB is an excellent golf ball for the price, selling for $32 a dozen regularly and $29 per dozen currently on sale. Comparing it to my current golf ball, there are some aspects where the Snell MTB performs better and some where it performs slightly worse. In terms of overall feel of the golf ball the MTB is slightly firmer than the B300S, but is in no way a firm golf ball. The B300S is a very soft golf ball, and so is the Snell, and I suspect that the slightly difference I perceived had more to do with the slightly different noise of the golf ball more than it had to do with the actual compression of the ball. The Snell had a sound off my putter that sounded slightly more click than thunk when compared to my B330S, though this is entirely subjective. The MTB does, however, have a small distance advantage over the B330S. On similarly struck tee shots I noticed that the Snell would travel on average around 5 yards further than the B330S, likely as a result of the lower spin from the previous testing. This could be an advantage if you're a high spin player, though the difference is quite slight. Overall I enjoyed playing with the Snell My Tour Ball during testing. It performed quite well and would likely be a near direct match to the B330 (non-S) in terms of feel and performance. The only "downside" and the reason I gave the ball a 4 for Aesthetic Appeal is that you won't be playing a ProV1, Bridgestone, or other big name brand in front of your buddies (even if the ball is just as good). I personally prefer a little bit more spin with my wedges, even at the expense of a small amount of distance, so I will not be switching, but it's a golf ball I'd encourage anyone who wants premium performance at reasonable prices to look at. I had a chance to play one of the Snell balls this past week . Right off the bat, I seen that this was a pretty good ball. My tee shots went their normal distances, and I was hitting my landing areas. No weird ball flights. Maybe a little higher ball flights. My longer approach shots to the greens we're pretty decent, and not much different than my normal gamer ball. Where I saw a positive difference over my e6 gamers, was my green side pitches, and chips. Not sure if it was the ball, or if I was just stroking the ball better, but I saw more control in those areas. Had quite a few one putts. Putting was about the same as my normal gamers. After 18 holes my partner was 2 strokes better than myself with his 78. He told me he was a 5 handicapper me. He played well. 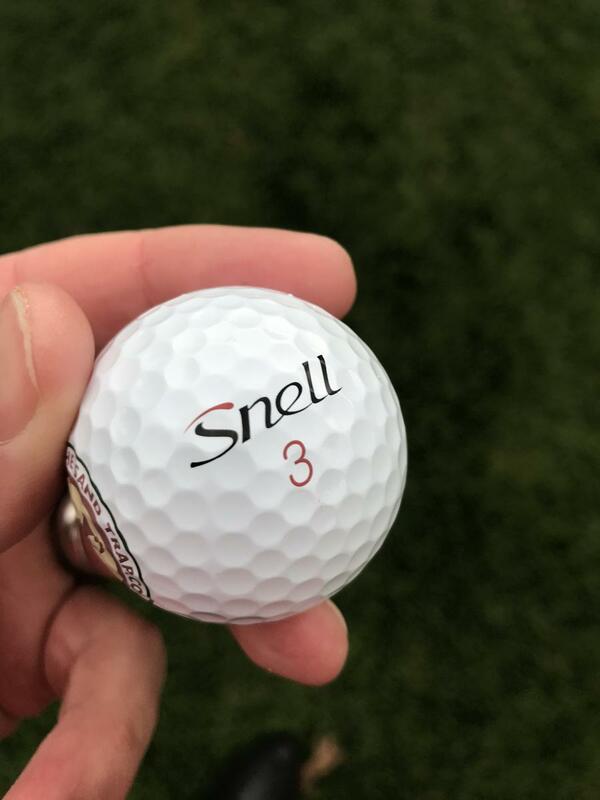 All in all, after only 18 holes, I would have no problem playing this Snell ball. I even took the time to visit the Snell website. I can honestly say, what they say the ball would do, it did. Found this honest marketing refreshing. Never been someone that cared too much about what golf ball I used. Probably not a good thing I know. Probably used taylormade more than anything else, but just because of the brand name and I like Taylormade anything. Maybe time to look into these snell balls? I've played the Snell MTB Black along side ProV1x this year and I cannot feel any difference. They both feel the same off the driver and feel soft around the green.